Snowmass Village, a quaint resort town nestled in the Colorado Rockies, is home to Clark’s Market as well as the Clark family, who own the small town grocery store. 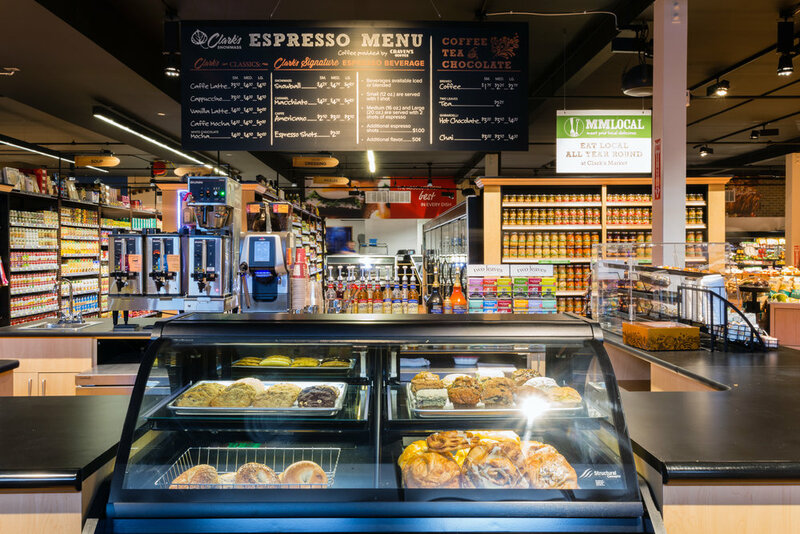 With eight stores throughout Colorado, Snowmass Village, the hometown of the Clark family, is naturally the flagship location for Clark’s Market. Clark’s Market in Snowmass is a core commodity in the small resort town, as tourists and locals are the main customers in the area. Designing a store that would appeal to tourists as well as locals was just one of the goals for Clark’s Market. The store also had the desire to expand, and developed an innovative idea to create a small 4,000 square foot “Clark’s Express” market at the main resort. The Decorworx sales team met with the Clark Family to determine the best route for the redesign of Clark’s Market. Research into the local demographics was key to creating a design that would appeal to tourists and locals alike. The main priority for Clark’s Market was given to upscale ski tourists and the local family community. There was also a strong emphasis to tie the new Clark’s Express to the remodeling of Clark’s Market; a task that the design team would be able to accomplish. Tailored to a family demographic, Snowmass Village has a very modern feel. Clark’s Market has embraced this unique culture through photos captured of the local ski resort, providing the store with a bit of local flair. The black ceiling and wood floor gives the store an upscale look, but also adds a comforting feeling, which helps deliver a warm welcome to everyone who enters. 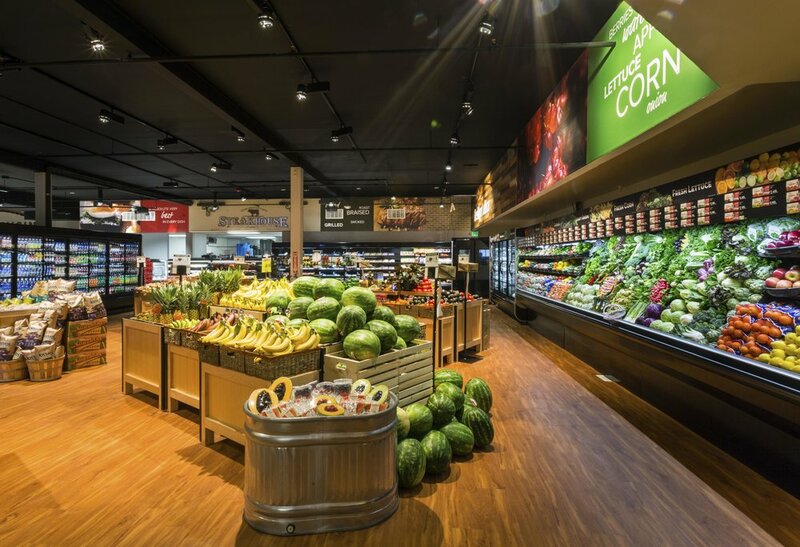 LED lighting was installed throughout the store to add a natural emphasis to the food, especially the produce. The produce department is designed with the small resort town in mind. Wood planks and clean acrylic letters reflect the natural beauty of Snowmass Village, bringing a sense of modern and rustic décor to the store. The meat department, known for its savory selection, is adorned with ornate lettering and signage that sends a message of quality and excellence. The full service meat and seafood department provides customers with the luxury of meat cut to order, a service not found in the resort town for over 35 years. After opening, Clark’s Market was quickly embraced by the community. Sales reached 40% above what was projected, which was a huge success for the small town grocery store. Clark’s Market has shown to be a satisfying addition to Snowmass Village, and will most likely become an essential part of the resort community in the years to come.